Would a loving God really send good people to hell? What does the Bible actually teach about hell? 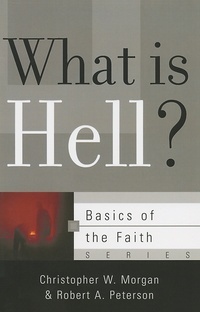 How should believing in hell affect us? Here Morgan and Peterson set forth a clear biblical theology of hell, facing the hard realities and avoiding silly stereotypes by conveying what the Bible says about hell with integrity, intelligence, and compassion. They address the major questions people have about this subject and apply what the Bible has to say about it to Christian living.